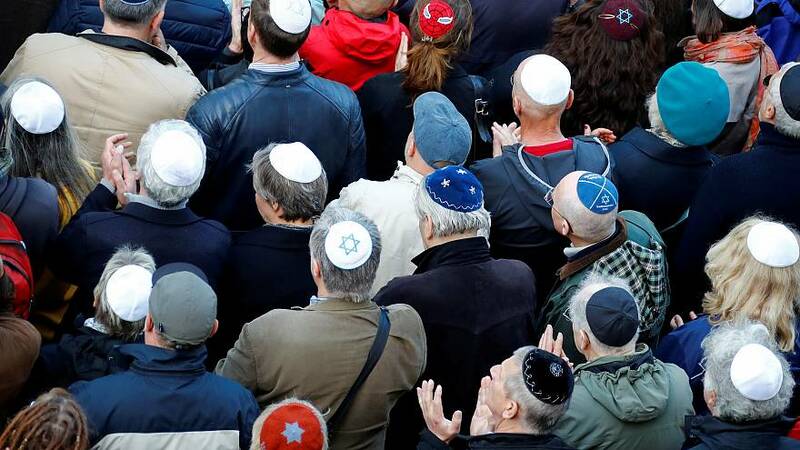 Thousands of people have donned Jewish kippas in rallies across Germany in a show of solidarity against anti-semitism. The movement follows an incident last week when an Israeli arab put on a kippa to test out the reaction. He was filmed receiving verbal abuse and being lashed with a belt by strangers. "We have to show solidarity with the Jewish Community in Germany," said one demonstrator. "By giving a signal: wearing a kippa, giving a kippa to our children and showing that we are all Jews when we are attacked. Anti-semitism is on the rise and not just that: the statistics show us that xenephobia, fear of Muslims, everything is on the rise." "I am in solidarity with the whole Jewish community here in Germany," says another. "I want to send a signal that anti-semitism doesn’t have a place in our society. The government needs to send the message to the whole society that an anti-semitic attack is an attack on the whole society, that has to be clear. There is anti-Semitism from the right and from the left, also from Muslims, but also from other people in society. But it's not important where it comes from, it's important that we fight against it." In recent weeks there've been reports of attacks on Jewish children in schools, while the head of the Central Council of Jews advised it was unwise to wear kippas in big cities.